Last year, on the occasion of Save the Harbor / Save the Bay's 25th Anniversary, we produced a short video and established an award honoring the many Boston Harbor Heroes for the role they played in the Boston Harbor success story. On March 30, 2012 at "Destination Boston Harbor 2012" at the InterContinental Boston, Save the Harbor / Save the Bay proudly recognized 5 new "Boston Harbor Heroes" for their commitment to our city, our community, and the harbor we have worked so hard to restore and protect. Lowell Richards of MASSPORT, who left us so suddenly on February 5, but will always be in our hearts. He served our city - and the Commonwealth - in so many ways that it is simply impossible to list them all here tonight. Professor Charles Haar of Harvard University, who passed away on January 10 after an extraordinary career. His work as Special Master in the Boston Harbor Case has served as a roadmap for the restoration of Boston Harbor. Harold Sparrow of the YMCA of Greater Boston, who has worked tirelessly as a member of Save the Harbor's board of Directors to ensure that there will always be a place for young people from all of Boston's neighborhoods on Boston Harbor, our waterfront, our beaches and in the Boston Harbor Islands. 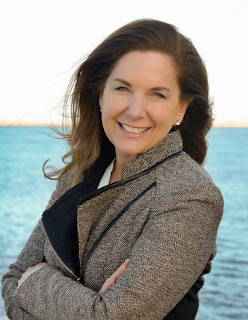 Ronda Ivy McLeod of Jet Blue Airways, whose support for our "Better Beaches Program" has helped Save the Harbor strengthen waterfront neighborhoods and beachfront communities from Nahant to Nantasket. Will Clark, a sophomore at St. John's University, who joined us as a junior program assistant, grew into one of our lead "Boston Harbor Explorers" - and today serves with Thi Tran and Connor Newman as Co-Chair of Save the Harbor / Save the Bay's Youth Committee. Thanks to all of them, and to all Boston Harbor Heroes! Harpoon Helps Save the Harbor Make a Big Splash! 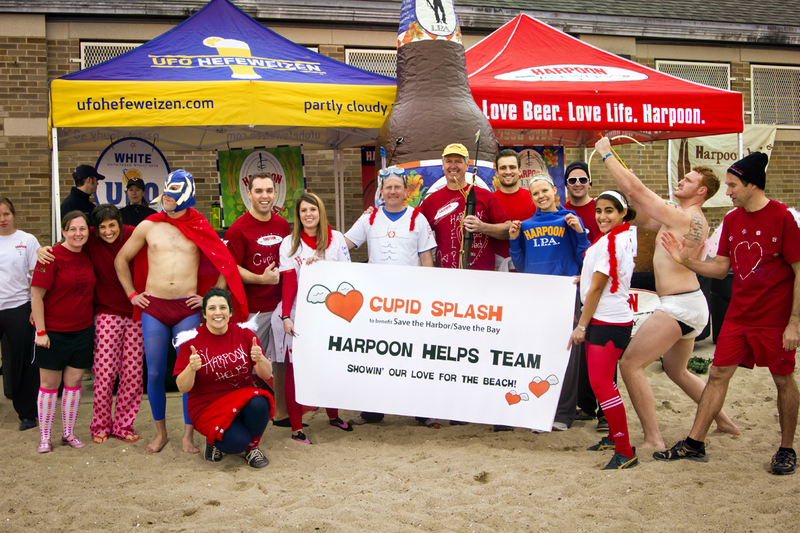 On Saturday, March 24th, more than 200 supporters of Save the Harbor / Save the Bay from 8 waterfront communities from Nahant to Nantasket simultaneously dashed and splashed into the chilly ocean in the 2nd Annual Harpoon Helps Cupid Splash. Together, they raised $31,500 from 550 donors to support free events and programs on our region's public beaches in 2012, including sand sculpture competitions, beach parties, and family reading and movie nights. This year the BCYF Curley Recreation Center in South Boston was "Center Stage" for the event, where more than 150 participants raised more than $21,000 to support the cause. This year's biggest overall fundraiser was Save the Harbor / Save the Bay board member Paul Giudice, who raised $2,500 even though he was not eligible to win a prize. Northeastern University graduate student Kasey Fitzgerald, an intern at Save the Harbor / Save the Bay, raised $1,910 from family, friends, and co-workers to win a pair of round-trip JetBlue Airways tickets. Many participants sported Cupid themed costumes to demonstrate how much they truly love their beach. Celebrity judge Kennedy Elsey of Mix 104.1's "Karson and Kennedy" morning show chose Harpoon Helps Team member Mike Pitt, dressed in a traditional Cupid costume complete with a tiny bow and arrow, as the this year's "Best Dressed Cupid," earning him a round trip ticket on Jet Blue Airways as well. This year, dogs were able to take part in the Cupid Splash along with their owners. 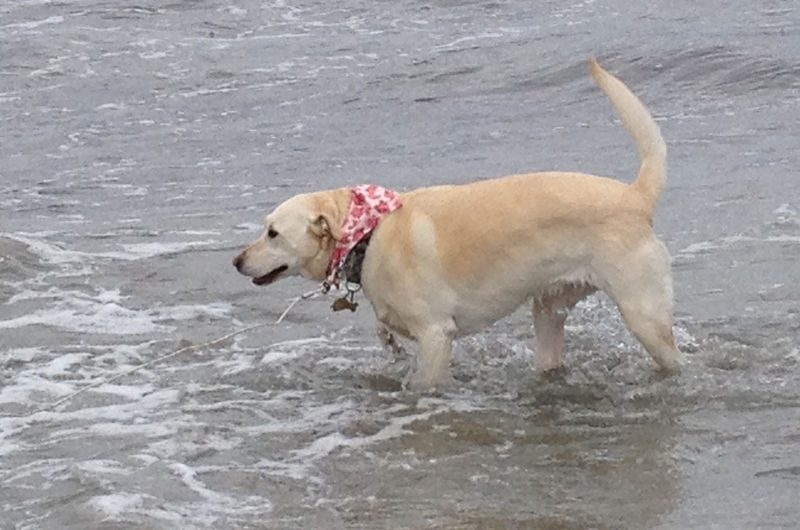 State Representative Kathi Reinstein's dog "Molly Reinstein-Denning" splashed in Revere and raised $250. "Better her than me" quipped Rep. Reinstein. "Molly really loves Revere beach!" RoseLee Vincent was out of town on vacation this year, so she splashed in Marco Island, Florida - and raised $465, saying "My body was in the warm waters of sunny Florida, but my heart was in the cold waters of Revere Beach." 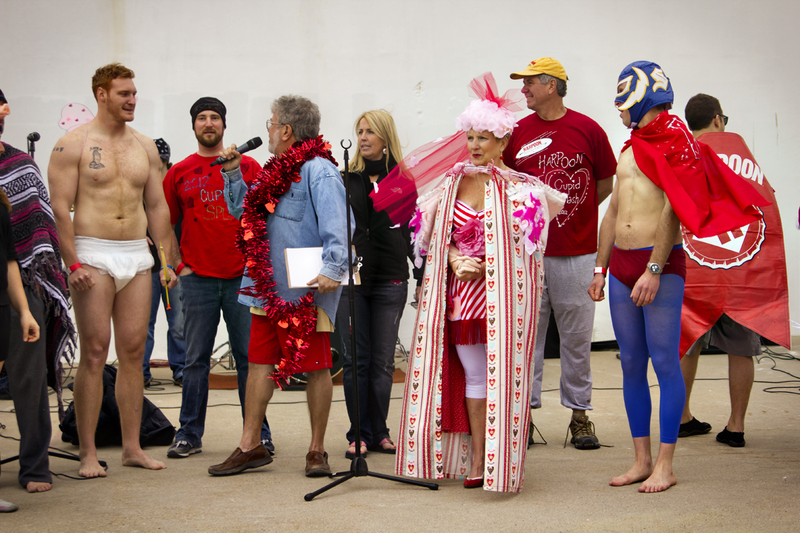 The largest fundraiser and best dressed Cupid on each beach were entered into drawings to win tickets as well. Carol Haney (who sported the best costume in Revere) and John Coyne (who raised $1,200 in Dorchester) will each receive a round trip ticket courtesy of our friends at JetBlue Airways. Following the Splash, Save the Harbor and Harpoon Brewery hosted warm-up parties in each beach community. At the center stage in South Boston, participants enjoyed a warm bowl of Legal Sea Foods chowder and a cool pint of Harpoon on the beach, while their Cupid counterparts around the Harbor headed to local taverns to warm up, have a Harpoon beer, and celebrate their successful plunge. "What a great way to spend the first Saturday of Spring" said Charlie Storey, Senior VP of the Harpoon Brewery, whose philanthropic program, Harpoon Helps, co-produced this year's Splash and hosted the Center Stage event in South Boston. 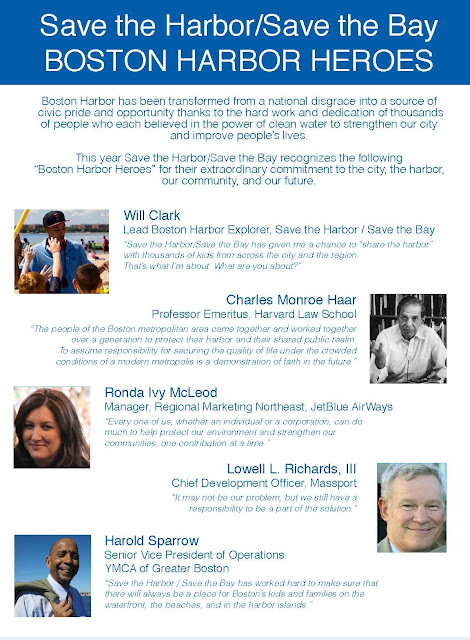 "We are proud to be a part of it, and to support our friends at Save the Harbor / Save the Bay." "It is great to see so many people who really love their beach" said Bruce Berman, spokesman for Save the Harbor / Save the Bay. "Thanks to all who took part - and especially to our partners at Harpoon Helps, JetBlue Airways, the Department of Conservation and Recreation, the Boston Center for Youth and Families, National Grid, Comcast, Legal Sea Foods, Russo Marine and the YMCA of Greater Boston for their support." Since 2008 Save the Harbor has awarded $125,000 in small grants to support free,family-friendly events and activities on the region's public beaches in Nahant, Lynn, Revere, Winthrop, East Boston, South Boston, Dorchester, Quincy and Hull. Their community partners in the region's waterfront neighborhoods and beachfront communities have leveraged that investment with additional cash and in-kind contributions from local government and small businesses for a total investment of $500,000 to support more than 100 free events and activities for everyone to enjoy. This year's grants will be announced later in the spring. Forty years ago - on April 20, 1972 - the Clean Water act became the law of the land. Frankly, things were pretty bad at that time - the Cuyahoga river in Ohio was so polluted that it regularly burst into flames. Comedian ( and Harvard Alum) Tom Lehrer captured the situation quite well in his song "Pollution" - which he recorded in 1967. At that time Boston Harbor was one of the most degraded ecosystems in the nation, as we discharged nearly 200 million gallons of largely untreated waste into the marine environment nearly every day. Boston Harbor Heroes, all that has changed. 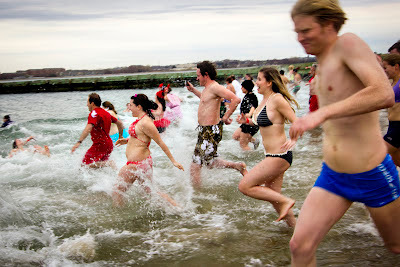 This Saturday, March 24, 2012, Save the Harbor / Save the Bay will celebrate the 40th anniversary of the passage of the Clean Water Act and the transformation of Boston Harbor from a "Harbor of Shame" into one of the cleanest urban harbors in America by hosting the 2nd Annual Cupid Splash on eight public beaches from Nahant to Nantasket, with a center stage event at the BCYF Curley Community Center at M Street Beach in South Boston. Last year's Splash was tons of fun, as you can see in this short video. Thanks to our partners at Harpoon Helps and JetBlue AirWays this years Splash will be even better. It is easy to register online at http://www.cupidsplash.com All the funds we raise will go to support dozens of free events and programs on the region's public beaches that would have been unthinkable just a few years ago. We hope to see you on the beach - and in the cleaner waters of Boston Harbor, Dorchester Bay, Quincy Bay, Broad Sound and Mass Bay!